Hey all! Tell me what you think of this short poemish thingy I wrote for the beginning of Volume 2: Wrath. simmering in a fool’s mind. What I mean is that you can by it on Amazon as a paperback, or an eBook at Smashwords, Barnes and Nobles, or iBooks, and finally I got it as a Kindle book on Amazon too. Also: I lowered the price to 99 cents for the eBook and Kindle version, in case you didn’t know! Please consider buying a copy to support me and my future writing endeavors. It’s tough advertising if you’ve got no money. Got any advertising ideas to help me out? Please consider sharing them! I need all the help I can get, because it’s a big, bad world out there for a young, self-published author. Also, if you have any questions about my book, or if you need any advice, feel free to ask! So what’s your book like? What kind of book should you be trying to produce in the digital age of the 21st century? What’s the content like? How do you structure your sentences? How does your book look? Let’s be honest; in general, we all know what we want. We want a book that looks cool; we can be proud to be seen reading it. We want a book that’s fun to read!!!! : don’t kill your reader’s brain by throwing crazy/eccentric words at them (what does “eccentric” mean!?!? ), or by writing enormous paragraphs, or by avoiding all things simplicity/clarity (which most great authors would recommend you work towards). Something structure, wrong with your sentence (haha)? Pick up a grammar book. Look at how other popular, professionally published authors write. “All art is theft”, as my dad says. But don’t steal. That’s breaking the 7th commandment…I initially wrote “the 6th”…but it’s okay, I corrected myself. My dad is talking about learning from others and applying it to your work. How should your reader feel when he/she picks up your book? You want your book to look and read like it’s something professional…but not too professional. Depending on what your genre is, you want your book to have a casual air; make the reader feel right at home when he/she is reading your book. And last but not least…write. Just write. You might have heard of “Just do it”. Well, I’m telling you “Just write”. Show the world what you’ve got. And the more you write, the people are bound to read. The more you write, the more people will want to read. And the more you write, the better writer you’ll become. That’s just the way it works. I hope this was helpful/inspirational to all you readers! Tell me if you have any tips about writing or what ways are characteristic of your writing style. And by the way, I’ve officially published a novella as both a paperback and an eBook. You can check it out here for the paperback or here for the eBook. So I’ve been thinking lately that it’s very hard for me to give all the attention I need to both my book and my blog. It’s hard for me to do both at the same time. Usually, I end up neither giving attention to my book series nor to the blog as each deserves and needs. I have several unfinished blog posts because I’m trying to balance how much I blog and how much I write. The truth is, I need to split up which week I will blog and which week I will write. Writing my book is a very big part of my life, as it enables me to release and share my emotions in a meaningful way. I can honestly become crabby if I don’t write! That being said, this tension between blogging and writing has to stop. I will alternate weeks as to which will be a blogging week and which will be a writing week. This week will start a writing week. 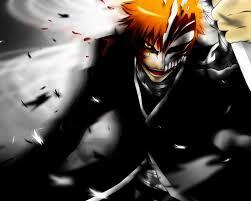 With that being said, I bid you all farewell until next week! I really need to spend my time doing what needs to be done: writing. Hey all! Just wanted to let you know I uploaded the first chapter of Volume 1 to my page now entitled “Prologue and First Chapter”. ALSO! Here’s the description for Volume 2: Wrath, which will be coming out very soon! John and Faith now know the plot of the Evil that kidnapped Soror and Frater, John’s little sister and brother; Soror and Frater, along with a host of other humans, are to be sacrificed to the ominous god of death. Meanwhile, Faith is realizing the true, dark nature of John’s desire to hunt the Evil. Can she stop him before his thirst for vengeance consumes him…or will it consume her instead? Just so you know, my siblings tell me that Volume 2 is waaaaaay better than Volume 1. So it should be a good sequence. One last thing: my book is officially a paperback book on Amazon. I listed the price as $9.99, the usual price for a manga novel, which my book mildly resembles. However…haha…my mom told my that that’s a little too pricey for my novella, which is only 78 pages. That being said, I’m lowering the price to $5.99. I don’t know when Amazon will upload the new price, but I’m sure it won’t take too long. Guess Who’s on Amazon Now???? That’s right! 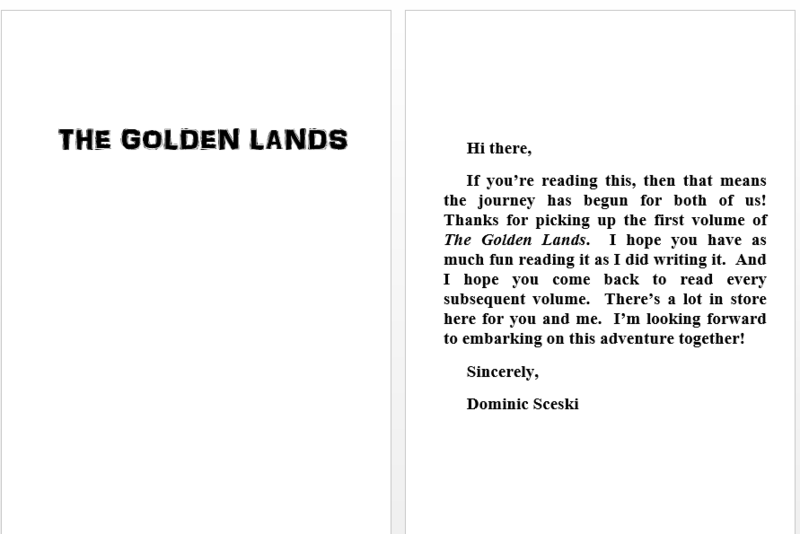 The Golden Lands, Volume 1 is now a paperback book on Amazon! Teehee…I decided to sell it for $9.99, the same price as a manga novel would cost. How could I resist? I’m very pleased with everything; the cover, the interior, the size—it all looks fantastic. This is all so incredible. I had only dreamt of publishing a book. I had only imagined sharing my art, feelings, passions, and stories with the world. It’s a lot to take in. Thanks for being there with me every step of the way. Obviously, there’s still a lot of work to do, but maybe there’s reason to celebrate. I hope you all have an awesome time reading my book; I worked very hard on it, and there were many times that I was honestly thinking of all of you as I wrote it. So thank you. Thanks be to God. And enjoy. Hey all! 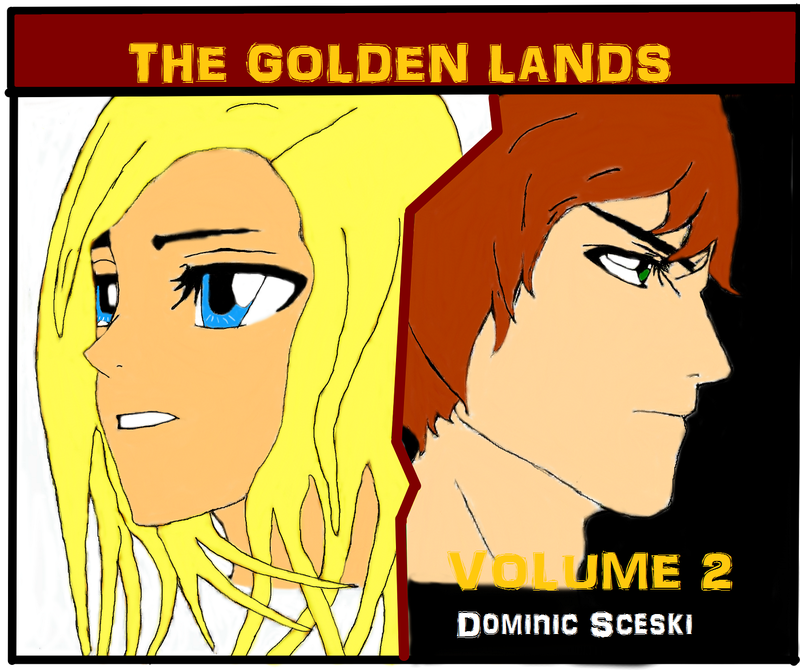 Just wanted to let you know that formatting has been completed for volume two of The Golden Lands. 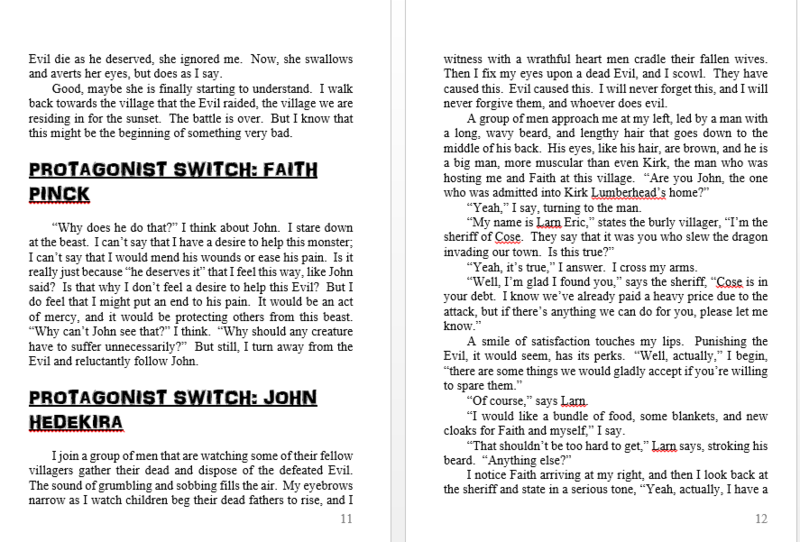 The way I see it, it probably won’t be much more than a week or two before I upload Volume 2 to Smashwords. ALSO: I have proofed Volume 1 and I’ve resubmitted it to become a hard copy (which will be available on Amazon). Haven’t bought Volume 1: Shadows in the Sunlight yet? Click here or here to get your ebook version! Stay tuned for when I publish the log-line for volume 2 and the first chapter of volume 1!